Perhaps the biggest surprise was Honda’s announcement that it will close its Swindon plant in 2021, with the loss of around 3,500 jobs. This is devastating news for the plant and its employees, but also for its supply chain. For any NAA members who are in that supply chain and significantly impacted by the Honda announcement, please do reach out to me directly. With the current state of the automotive sector, it begs the question – what exactly is the government doing about it? Which is exactly what I asked MP Greg Clark, on the same day that Honda’s closure was announced. I was lucky enough to be at Make UK’s annual exhibition in London, where he and a number of other Members of Parliament spoke. I specifically made reference to the drop in production volumes and the loss of jobs. The response I received was that the government was supporting the industry through funding opportunities in electrification, power electronics and digitalisation. These would very much be classed as opportunities that support automotive manufacturing of the future. However, no reference was made to what is being done to support the current state of automotive manufacturing. No doubt a symptom of the impending Brexit, which is taking up all current political bandwidth. At the time of writing, as we edge ever closer to 29 March, it is no clearer if there will be a Deal or No Deal, and how it will impact our industry. However, there are some positives to be drawn at this moment in time. The government has published a temporary tariff regime, should a No Deal occur. This dictates that 87% of total imports to the UK would be eligible for tariff-free access. Included in this 87% are car parts imported from the EU for example, which is designed to prevent disruption to the automotive supply chains. The remaining 13% is made up mostly of foods, but also includes finished vehicles, which the government claims will “support the UK automotive sector and in light of broader challenging market conditions.” For those looking for a source of guidance whilst preparing for a potential No Deal Brexit, BEIS have published content which specifically focuses on the automotive industry which can be found here. This newsletter also includes the latest Communication from the SMMT about Brexit. This month also saw the return of the Geneva Motor Show, which was probably the first ever motor show where the most newsworthy cars were all electric – a sign that the future is electric and it is already here. 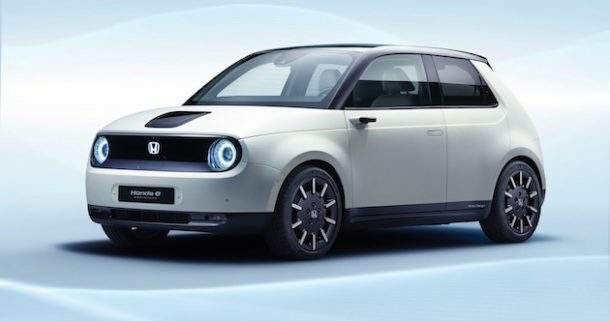 Linked to the Honda news above, one of the more notable EVs on show was the Honda e Prototype, along with the Peugeot e-208, the Audi Q4 e-tron concept and the Polestar 2 – which boasts a range of 310 miles. On 22 May we will have our ‘Ready for Electrification’ event Link at the Hartree Centre in Daresbury, where we will be exploring the opportunities for companies to break into the electrification supply chain. And on 6 June we will be having our ‘Training Hub’ launch, which is your chance to hear more about our new training offerings directly from the trainers! Sign up details will follow, so please keep a look out. We look forward to networking with each of you at our events this year.